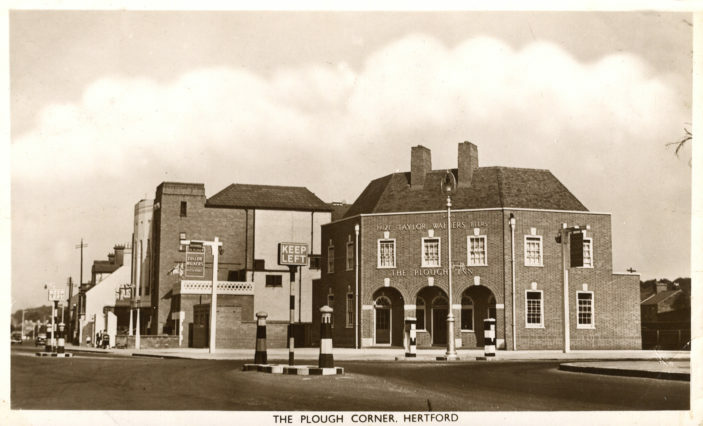 The Plough stood on the corner of Ware Road and London Road, opposite Christ’s Hospital and was originally in an area known as ‘The World’s End’. This was because it was on the eastern boundary of the town. 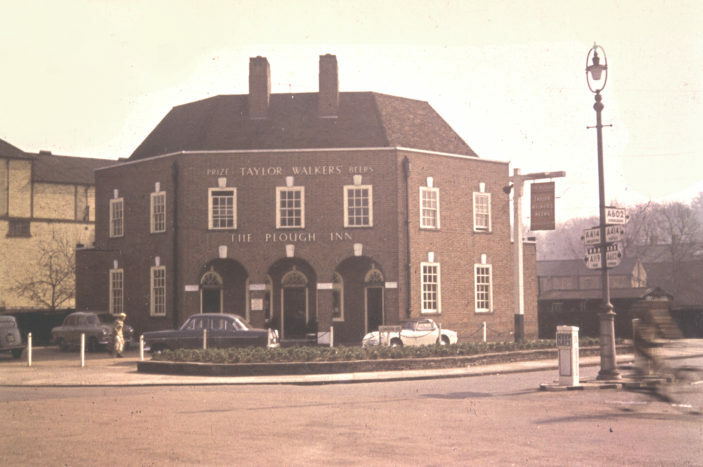 It was known as The Plough by 1776, though the old name was used until the beginning of the 19th century. 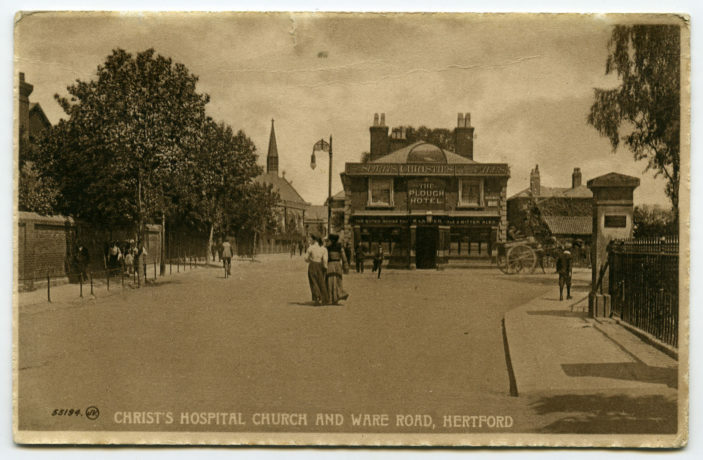 By 1903 it was owned by Christie & Co of Hoddesdon. It was purchased by the Cannon Brewery in 1928 and then had several more changes of ownership. It was demolished in 1935 and rebuilt in the fashionable style of the period. The first landlord of the the new building was Francis William Sandford; in 1943 it was Frederick William Vincent and in 1958, H K Nicholls. In 1985 it became The Warehouse before it was demolished in 1990. The area was developed for offices and is now known as The Rotunda. Tragic how the heart has been ripped out of Hertford, our county town….